SINGUR, India, May 9 (Thomson Reuters Foundation) – Farmer Dibakar Ghosh strides across a mosaic of lush green rice paddies and marks the plants already sprayed with fertilizer with a small, pink flag. The seedlings are flourishing despite the large mounds of mangled metal and concrete that dot the surrounding landscape, remnants of a car factory planned by Tata Motors in the Ganges delta in India’s West Bengal more than 10 years ago – and now abandoned. “For 10 years my land was fed concrete, iron rods and cement. Today it’s green and smiling once again,” Ghosh, 43, told the Thomson Reuters Foundation. The land where Ghosh is standing was home to a giant shed until August last year when India’s Supreme Court ordered Tata to abandon its plan for the new plant and return the 400 hectares (1,000 acres) taken for the project to its farmer owners. ata Motors, one of India’s top automakers, was allotted the land by West Bengal’s previous government for a factory to build the low-cost Nano car. After protests by farmers who did not want to surrender their land, Tata Motors moved the operations to Gujarat state in 2008. In August, the court held that acquisition of the land was not for “public purpose” and set a deadline of 12 weeks for it to be returned to an estimated 13,000 farmers. The court also stated that those who were paid for their land should keep the money to compensate for a decade of lost livelihood. By November the land was returned and by January, the 300 or so farmers whose land had not been affected by the steel and concrete structures had already begun producing crops of the golden skin potatoes that farmers in West Bengal’s Singur are renowned for. The Indian Trinamool Congress party came to power in West Bengal in 2011 and championed the Singur farmers’ movement against forcible land acquisitions, campaigning hard for the return of farm land annexed for the proposed car factory. 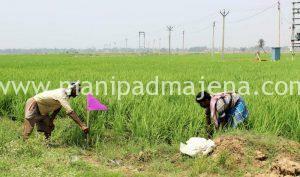 Nitai Hazari, a West Bengal agriculture department officer supervising work around Singur said the state was using the return of land to the farmers to modernise local cropping techniques. 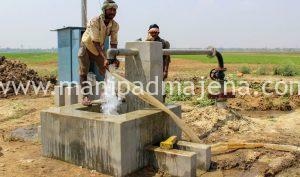 “Singur’s highly fertile land grew three crops annually. Even smallholders needed no second livelihood,” he said. 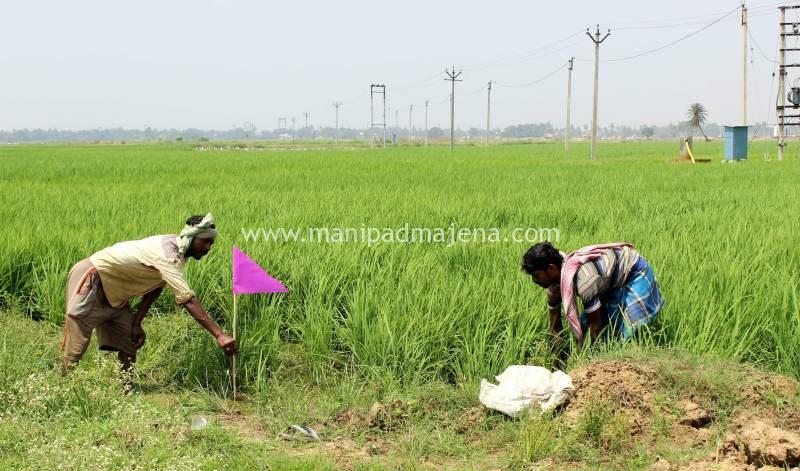 Already, about 92 hectares (230 acres) of paddy fields sown in early February using new, low-water techniques have produced knee-high crops. Sesame, maize, cucumbers and banana have also been planted. A new power network runs 63 freshly drilled wells for dry season irrigation and sprinklers and drips are in use. The state government has also provided farmers with high-yielding seeds, fertilizer and 10,000 Indian rupees ($155) toward new farm equipment and extra workers to help with labour, said Hazari. “Money will not remain, land will remain for generations,” said 52-year-old farmer Nityananda Sadra who has been given back two hectares of land taken 10 years ago. Three generations of his family – 32 men, women and children – all live under one roof in Joymalla village near Singur and farm another four hectares in another nearby hamlet. Not everyone is celebrating, however. While the majority of farmers who willingly sold their land 10 years ago have been returned their land and can keep their compensation money, there are another 2,500 who refused to leave at the time – and now feel they have been unfairly treated. Farmer Ghosh says that he too has a problem because while a fifth of his land is now producing crops, concrete from the demolished factory buildings still covers the rest. Earthmovers and industrial cranes were at work when Thomson Reuters Foundation visited in late March but Ghosh is sceptical that the government will rehabilitate all the returned land. He says the 350,000 Indian rupees paid in compensation was divided between eight siblings and there is nothing left. “What would my family have survived on for 10 long years?” he said. Ghosh said thousands of farmers who did not accept compensation were paid 2,000 Indian rupees ($30) and received 16 kilos of rice every month when the Trinamool Congress came to power, but complained that he did not get any help. “Beneficiaries were arbitrarily decided based not on poverty but loyalty to the political party,” he said. Becharam Manna, an elected Singur representative and a former junior agriculture minister in West Bengal who oversaw the rice and money package said the process was transparent and the list of those eligible was taken from land records.